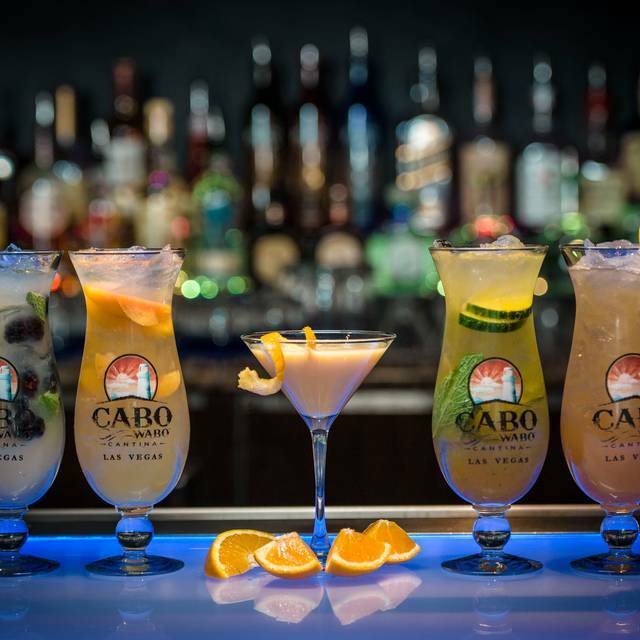 Sammy Hagar’s hard rockin’ dining and live music venue combines the laid-back beach-town vibe of Cabo San Lucas, Mexico, with the excitement of the Las Vegas Strip. 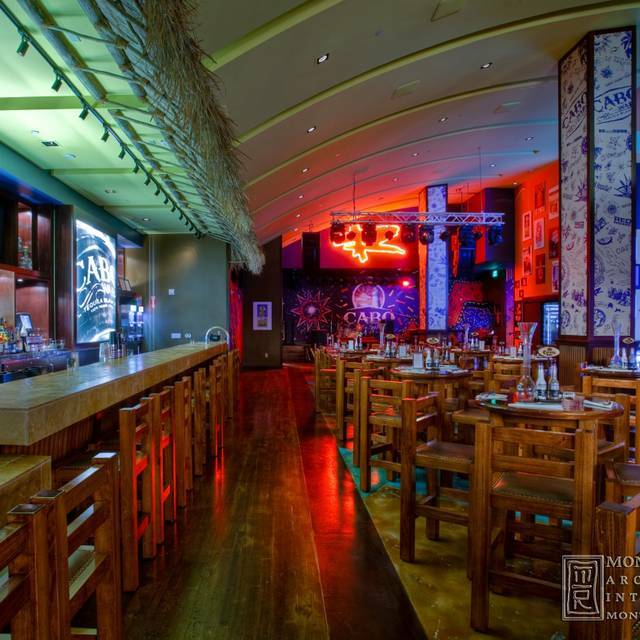 Blending coastal Mexican and Tex Mex cuisine, the menu offers a tantalizing mix of flavorful food, killer margaritas and an awesome venue where it is never uncommon to catch the Red Rocker himself jamming out with a live set on stage. 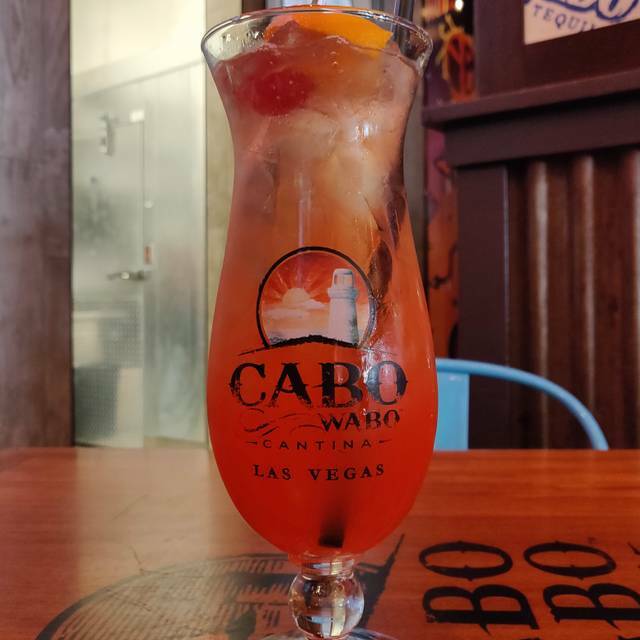 Cabo Wabo Cantina opens daily at 8 a.m. The BEST meal we had in Vegas! Brenda was a knowledgeable and attentive server! I'm a fan of Sammy Hagar but this place was not worth going to. Service was poor and the food was cold. Pretty disappointing. Made reservations prior to visiting Vegas. Was disappointed in the open one-room dining. Seating was crowded and basic. Dining felt like a mall court. I just love this place. The ambiance, the food, the drinks and most of all the staff! great location and great food! A little pricey for the type of food, even for Vegas. Good: Food was great! Sitting outside watching the people and Bellagio fountain was perfect! Very fun atmosphere! Bad: Hostesses were unorganized and sent us back and forth twice between inside/outside seating. Our reservation obviously meant nothing. 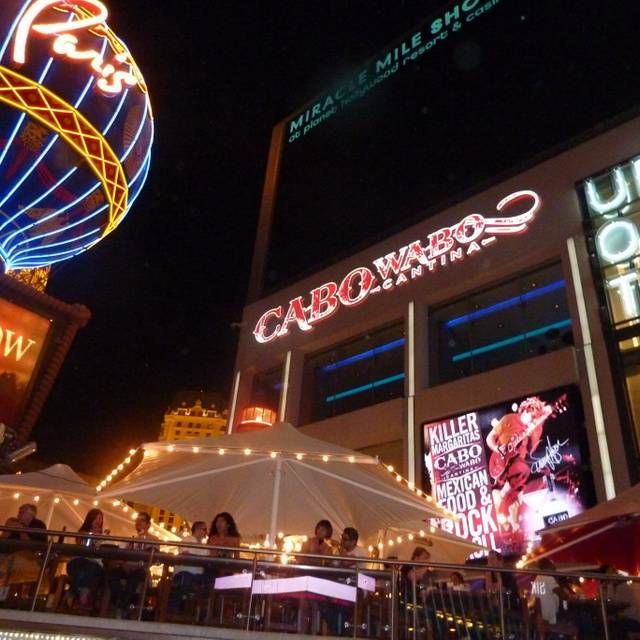 Also, the Cabo Wabo website said live music (half the reason we went). Staff acted like we were crazy when we asked about it. We didn't even see a place where anyone could perform. Disappointing. Good food and cold beer but overpriced. I know it’s the strip but $14 for a Mexican amber draft? Food was AMERICAN Mexican but good. About 30% overpriced. We had the best time there! The food was very good and our waitress did her job very well. Great service, fun atmosphere outside and off the strip. The food was outstanding. 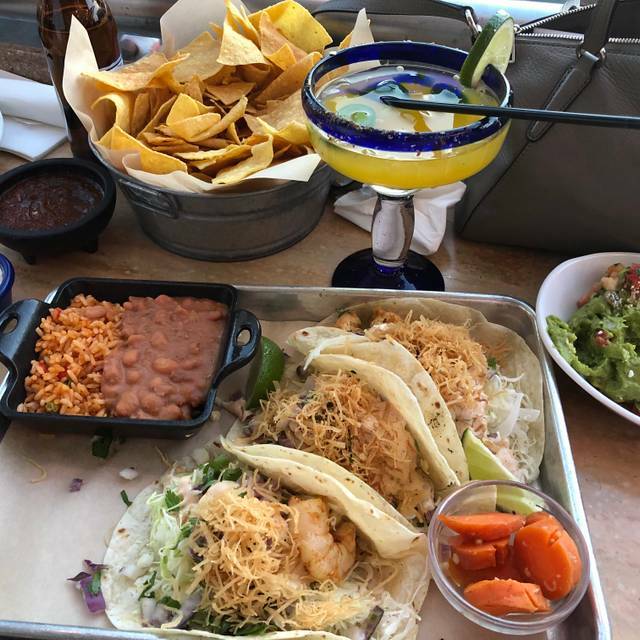 Recommend fajitas and the tequila lime shrimp. Cabo rocks!! Thanks Sammy!!! Great food, a little pricey! Love this place. My regular goto in Las Vegas. Food is good. People watching is prime and the margaritas are flowing. Overall the restaurant was a good experience and the food was fine. My wife thought the Margarita was one of the better one's she has had. The problems we had were that the waitress ( or kitchen ) did not get my order correct. I ordered grilled fish taco's, and got fried shrimp taco's instead. They were "ok" and I did not request a re-order as it was not worth wasting food. I personally do not think that fried shrimp makes a good taco since they are dry. Secondly my wife ordered Nacho's and Queso with Chicken and was surprised to find that the chicken consisted of small pieces mixed into the Queso. Most restaurants serve fajita style chicken over the nacho's. 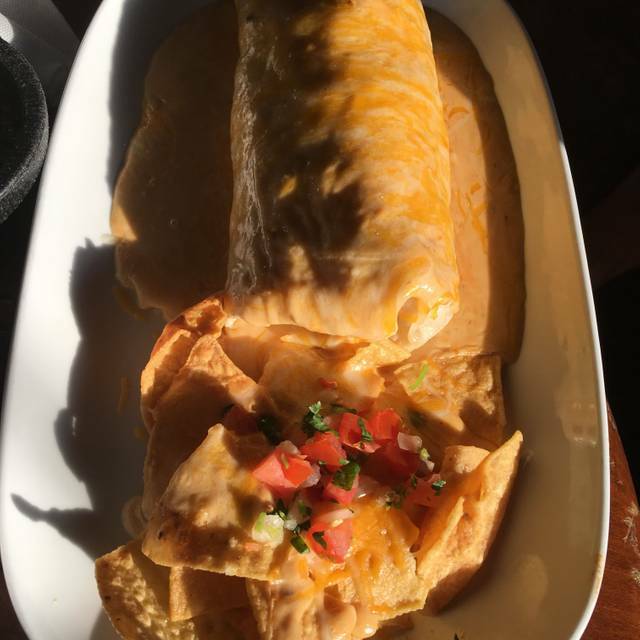 Amazing Mexican meal. What a killer view. 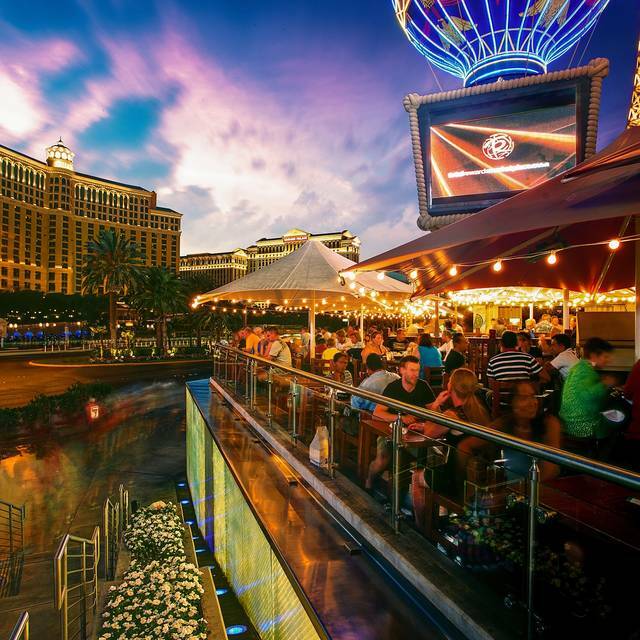 Watching the Bellagio Fountains while you break bread, stunning! Patio seating gets a good deal of traffic and pedestrian strip noise, but the atmosphere and music fits in well. Not the spot if you want a quiet romantic setting though. Food was great and the location is perfect for people watching. Service was okay, not great but we still had a great time and they had a good selection of drinks!! Fun place to grab a bite to eat and drink before going out. Laura was awesome and the food was very quick and so good. We will be back. Great food. A little cramped with 4 of us at a table (it was a 4 top but more like a bar table than a dinning table). Considering we made reservations for essentially “bar seating” I wasn’t real excited about the spot they put us. Service was, okay, not great. The food was good. Always a pleasure when I come to Vegas. I have been to this spot 8 times in the past two years. Travel for the east coast. My go to for late night food straight from a long flight. Extremely pricey; small bowl of Caso dip was $10; ridiculous. Hurricane lemonades were $40 for four...ridiculous, even tho you keep the glass..not worth $40. So loud you could barely hear anyone speak...we had a table of ten guests. I realize Cantinas are usually loud, but this was crazy. I will say the service was great; our waitress was all over it! 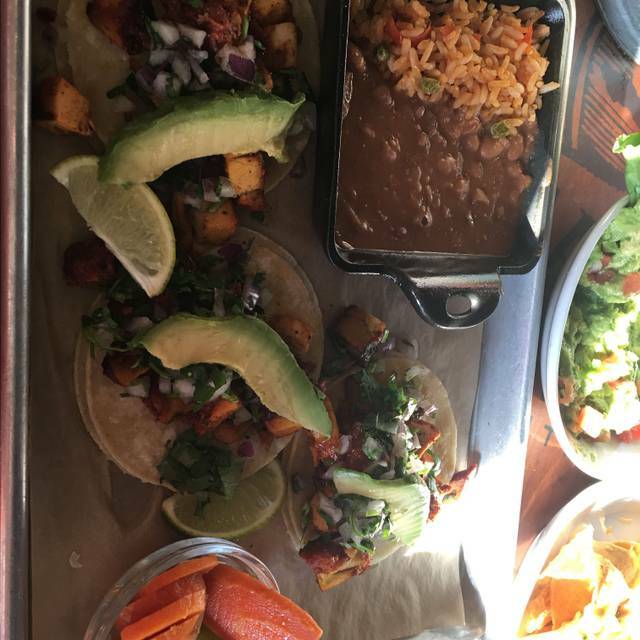 Food ok...have better Mexican restaurants in Denver....shrimp tacos were full of greens/shredded something, not sure...too much! Chicken tacos great..nice spice to them. Fajitas good....bean burritos rather marginal. Our waiter was amazing! The steak tacos were so good!! One of my favorite places to eat when I visit Vegas. The view is awesome. You can see the water show if you get the right spot or people watch. The food and music are fantastic as well. Got a seat on the patio. There was an excellent DJ and the people watching was amazing. Food was fresh and delivered quickly. Drinks were tasty and strong. Food is not worth the price. Food is not worth the price. It was fair. Uncomfortable chairs..and pretty cheap decor. But some cool pics of Sammy. We were recommended this place on the strip by a family member! We sat outside and got a nice view of the strip at night. We got a pitcher of margaritas which was a steep $50. It seemed that there was very little alcohol in them. But the food was great! I loved my quesadilla! Had the fajitas, margaritas, chips with guacamole. Food was great. Lively and fun!!! Always a stop when in Vegas. We were visiting from Ohio during a very chilly week in Vegas. They treated us well on the patio as well as inside at dinner! 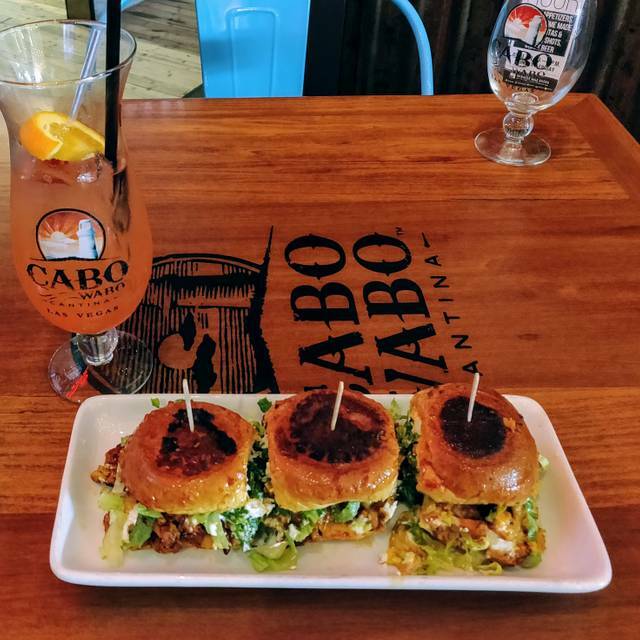 Loved Cabo Wabo! Food was great and the service was even better. The noise level was a little loud-just like we like it! The big screens made it easy to watch a college basketball game while we ate. It was so cold in this restaurant it made for an incredibly unenjoyable experience. WC margarita is excellent. Cold outside so there was a draft on inside.